I never thought I would think, much less say, that taking a mobile phone on a nature walk could be a good idea. Mobile phones have become technological tyrants in the lives of many people. Sure, they are a great communication tool, but they are an insistent source of distraction that can almost run our lives if we are not careful. And they certainly have no place in nature-based activities undertaken to find stillness, inner calm and tranquillity – or at least so I believed. My mind was changed by Matthew Johnstone’s story. Having had a long struggle with depression himself, Matthew is now creative director at the Black Dog Institute. He has been greatly helped by what he calls “eyes-wide-open” meditation (EWOM). This, he says, is a form of mindfulness meditation that is for people who are turned off by conventional insight or mindfulness meditation (MM) – or who find it difficult. MM involves quietening the mind by channelling attention onto an object, such as a candle flame, a feeling, a word or mantra – “om” is a popular one – or one’s own breathing, and then observing in a non-judgemental way the thoughts and feelings that pop into your head. The key ingredient of mindfulness says medical academic, Dr Craig Hassed, is that “we are conscious of what is going on but not in a self-conscious kind of way – so paying attention rather than thinking about ourselves”. In contrast to MM, which adopts an inward looking perspective, EWOM turns our observing to the world beyond ourselves. It requires us to slow down, look around, and let our attention be attracted and held. It centres our awareness on the “out there” and enables our senses to dwell on “beautiful light, beautiful shapes [and] beautiful colours”. It locates us in the present and the here and now and, in so doing, quietens the sometimes unpleasant and damaging “busyness” of our minds. Matthew found that a camera can be a great aid to EWOM. The camera does not have to be a fancy one. The camera built into most mobile phones is quite suitable for the purpose. Indeed, a mobile phone camera is the perfect tool for EWOM, he says, especially for people on-the-go. A great advantage of your phone camera is that you probably have it with you all or most of the time. It is also convenient to carry and easy to use. Switch the phone to aeroplane mode so that you’re not distracted by texts, tweets and the like. Let the camera remind you to consciously slow everything down – from your breath, to your walk, to your thoughts – and then take time to look. 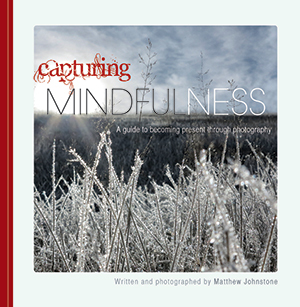 This last guideline underlines the importance of photographing only what resonates with you – what you find yourself drawn to happily and involuntarily. These will be subjects that you find intrinsically interesting and attractive; subjects that you attend to effortlessly and without direction from your conscious mind. Psychologists refer to this involuntary, interest and emotion-driven attention as “fascination”, and contrast it with the fatiguing, voluntary, choice-driven (or directed) attention that is so much part of day-to-day life. In the human mind, nature and fascination go together. Just as directed attention is an inescapable part of life in modern environments, fascination is the “normal” or typical form of attention in natural places. The psychological relationship between fascination and nature is forged by our emotions. The emotional centres in the human brain evolved long before the thinking parts and continue to have a big say in our behaviour including where and how we focus our attention. There is now overwhelming evidence that fascination experienced in natural environments is therapeutic. Apart from countering stress, it enhances recovery from mental fatigue and associated mood problems. It is not hard to imagine that regular doses of fascination help relieve depression and anxiety, perhaps by giving the brain time-out from negative thoughts and feelings. Matthew Johnstone practices EWOM in all kinds of settings. But I think that natural settings have more than most to offer as far as EWOM is concerned. And if the phone camera can help with EWOM then I am willing to concede that there is a case for taking a mobile phone (switched to aeroplane mode, of course) on a nature walk. If you are going to be “in the present and the here-and-now” anywhere, the “present and the here-and-now” in nature are as good as it gets. Have you ever returned to a very scenic place that you hadn’t visited for some time and found it to be more beautiful than you remembered? I frequently have that experience. With my days of full-pack bushwalking behind me, I am re-discovering many of the shorter day-walks I did in the early days of my bushwalking career. 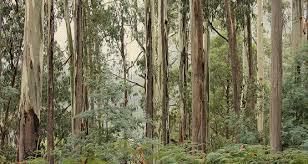 A few months back, I did one such walk, The Blue Gum Walk that is located in bushland on the northern margin of Sydney. Actually, it is a walk that is well-known to me as I have done it several times over the years. Nevertheless I was exhilarated – yes exhilarated – by the diverse beauty I encountered. I came away marvelling that such magnificent scenery could be found right on Sydney’s doorstep. I responded to the walk almost as if this was the first time I had done it. You might even say that I had discovered the walk again for the first time. Why is it that my earlier very positive memories of the walk had dimmed to such an extent? Could I be suffering an unusual long-term memory problem along with whatever might be happening to my short-term memory? I don’t think so. It is much more likely that my memory is working very much as it always has. In allowing the positive emotional content of good memories to erode over time, my brain is functioning in a typically human fashion. Generally speaking, the things that make us happy are not threatening to our survival – quite the contrary. This means that there is not the same imperative for our brains to remember such things. Things that make us happy are not likely to kill or injure us. Nasty things, on the other hand, could – so it pays our brains to be very efficient at remembering threatening experiences – especially the negative emotions like fear and disgust that such experiences evoke. Our brains, in other words, are better at remembering the bad rather than the good things that happen to us. That is why Rick Hansen, author of Hardwiring Happiness, says that it is very important both to repeat and to dwell on happy experiences if we want them to leave a lingering beneficial legacy in our brains. A consequence of my muted recall of the delights of The Blue Gum Walk was that I underestimated how enjoyable it was going to be. This is not surprising as expectations depend on memories. An interesting possibility this raises is that we all tend to underestimate the positive return we will get from an anticipated nature activity. We may expect to get some pleasure from, say, a bushwalk, stroll in a park or garden visit, but less than we actually experience. participants would make forecasting errors, such that they would underestimate their enjoyment of the outdoor walk. The results of the experiments supported both predictions. Walking outdoors produced better moods but the extent of the emotional buzz was not fully anticipated even though the predictions were about walks in familiar areas. To the extent that affective forecasts determine choices, our findings suggest that people fail to maximise their time in nearby nature and thus miss opportunities to increase their happiness and relatedness to nature. In other words, lower expectations about the pay-off from nature activities means fewer such activities are chosen. For those of us in the business of promoting greater society-wide engagement with nature, any guideline for helping people make pro-nature lifestyle choices is welcome. Nesbit and Zelenski’s findings may be suggesting just such a guideline, namely increase expectations about nature’s pay-offs. Savour the experience deeply so that it stirs your brain’s memory networks into sustained activity. Sharpen perceptions: Accept nature’s implicit invitation to discover more. Let your attention take you deeper into the experience. Observe mindfully – listen, taste, feel, smell as well as look. Follow Rachel Carson’s suggestion to focus as if this is the last time you will have the experience. Support memory storage: After allowing time for absorption, take a photo, make a sketch, or write a diary or journal entry. Reminisce about your experience with a friend. If appropriate keep a physical souvenir (a pebble, feather or leaf, for example). 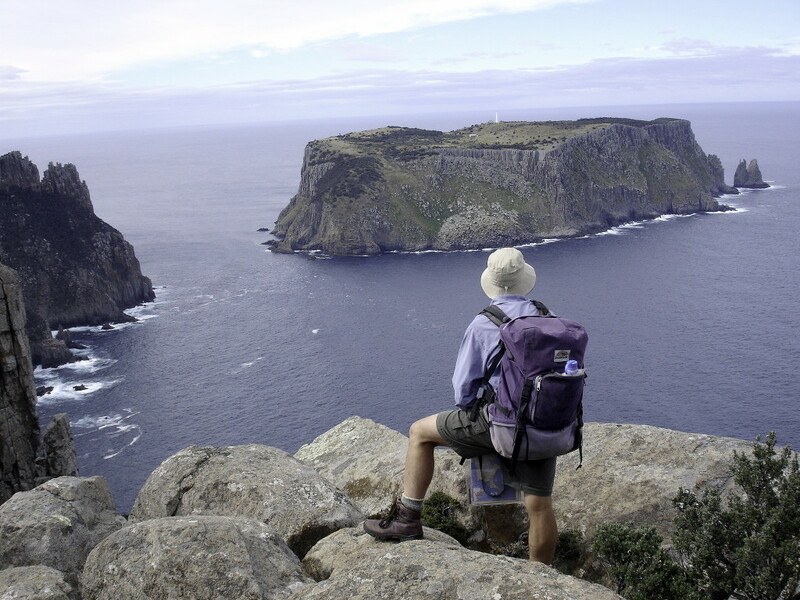 As I have decided that I could do a good deal more savouring on my bushwalks, I am on the lookout for practical savouring activities to try. As an example, a friend has suggested spending half an hour of each bushwalk simply observing the insect and other life on a small patch of the forest floor or on the trunk of a tree. Other suggestions gratefully received (use the comments box if you like).